The Canyon Santa Clarita - Ca. Danny Seraphine’s ‘Take Me Back To Chicago Tour’ featuring former members of Chicago with California Transit Authority at The Canyon Santa Clarita on Saturday, April 20th with special guests TERRY ILOUS & THE VAGABONDS, opening act Wake Campbell. The legendary music of Chicago comes alive with CTA, featuring Chicago lead singer Jeff Coffey, and Chicago co-founder and Rock & Roll Hall of Fame inductee Danny Seraphine, a three-decade member of the group and voice on many of its 80’s hits. Hear Chicago classic hits like ’25 or 6 to 4′, ‘Feeling Stronger’, and ‘Saturday in the Park’ and the 80’s power ballads including ‘Hard Habit to Break’, ‘You’re the Inspiration’, and ‘Look Away’. Backed with a powerful horn section, CTA brings you a night of classic hits from Chicago’s 50 years of hit music. Doors & dinner seating 6-7pm. Opening artist 7pm. 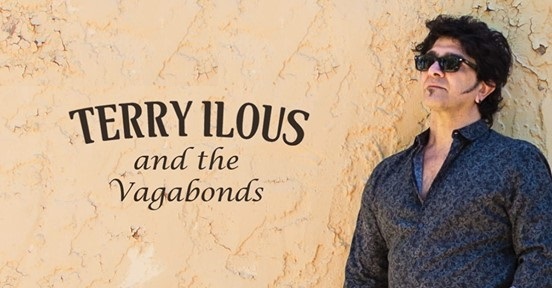 Terry Ilous & The Vagabonds at 8pm. CTA – 9pm. Discounted GA Tickets are $24.00 (+ fees) through Terry Ilous. (GA Tickets through Ticketmaster $45.80). Tickets can be claimed or upgraded, the day of show at the Canyon Santa Clarita box office (entrance).